Everything you need to grow your audience. 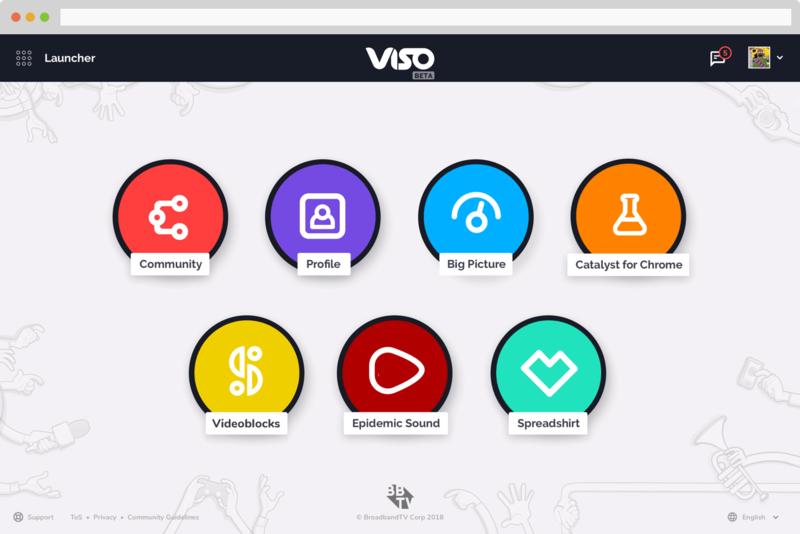 Introducing VISO, a multilingual and mobile-friendly platform that offers a set of tools to enhance your world as a content creator. 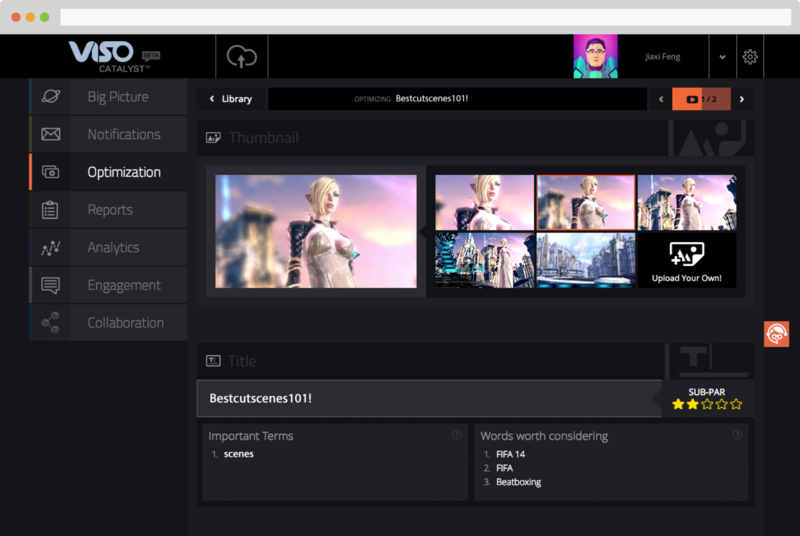 With VISO, you can easily jump into a range of third-party tools, customize thumbnails, and optimize video meta as you upload. VISO's smart technologies help you tackle the ins and outs building your audience so you can get back to creating awesome content, faster! Not a Partner? Apply to become part of a unique community. Still using VISO Catalyst 1? Get ready for the new VISO! It’s been redesigned from scratch based on your ongoing valuable feedback. You can still login to VISO Catalyst, but why not make the switch instead?! Check your inbox for the VISO invite. Community was the part that caught my attention the most and with the ability to add what interests us makes it easier to find other creators similar to our own content making it helpful for collaborations.